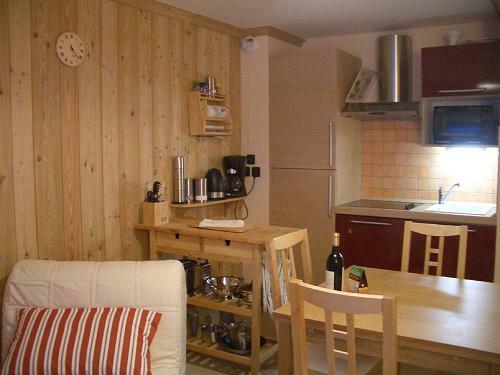 Our location just 200m from the pistes and chairlifts make it a very convenient place to stay. And of course, there’s our spa facilities too for relaxing after a hard day on the slopes. The Chalet itself is fantastic, for the first time in Summer we found ourselves having to use the underfloor heating for a night, the kitchen area is suitable for family food times & for setting up your laptop (with WiFi included) & games etc. The Chalet has always been clean & well looked after. My mother who was with us for a couple of days wanted to move in, our 5 year old declared the bed the most comfortable she had ever stayed in and my husband sat on the terrace with his glass of wine and marvelled at the view of what are now “our” mountains. Helen and Julian have thought of everything, the chalet uses every available inch of space and is supremely well equipped and comfortable. Why not come and find out for yourselves how wonderful Chamoissiere is? We have some availability from January 2nd for 800€ per week which includes linen and towels. Click the button below to reserve online. The thermal baths in Monetier-les-Bains should be at the top of everyone’s list. A great apres-ski activity too. Open daily, only children under 4 are excluded. You can also book spa treatments as well as enjoy the Roman-styled baths. Book a guided snowshoe walk with the International Ski School in Monetier-les-Bains. See the resort from another angle and visit the larch forests. 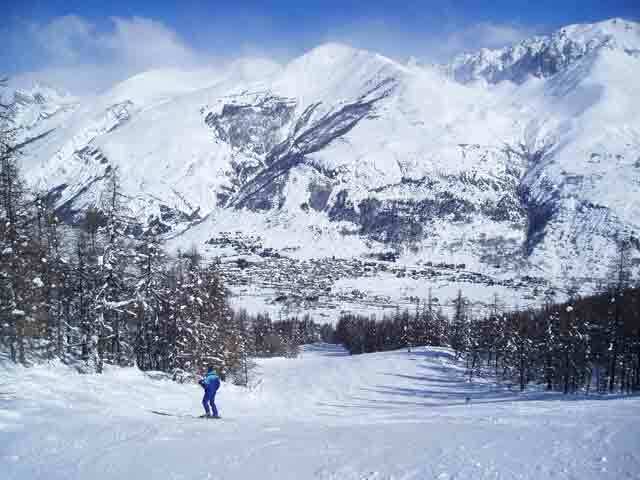 Get on the very regular ski bus, and take a trip into the old walled citadel of Briancon. Now a World Heritage site, on a sunny day you can while away a couple of hours, have a real Italian coffee or ice-cream, or even have a mediaeval style lunch in one of the restaurants. 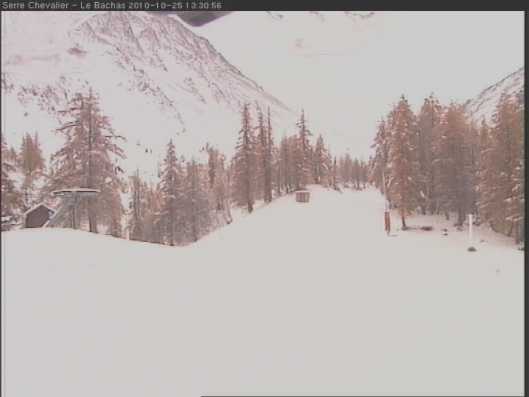 Join the skiers up the mountain for lunch. There is pedestrian lift access to several of the mountain restaurants. The best choice is probably at Serre Ratier, which is served by the cable car from Chantemerle, or take the Bachas or Casse du Beouf chairlifts for other possible meeting places at the Bachas and Bivouc respectively. Chill out on the terrace with your own special view of the mountains at Chalet Chamoissiere and watch the skiers returning from their day on the mountains. Don’t forget a visit to the local markets, best of all is in the bottom part of Briancon near the Parc de la Schappe on a Wednesday.